Need more reasons to get yourself a stylish portable bar? Read on! Multipurpose, feature-rich, ideal for any space! 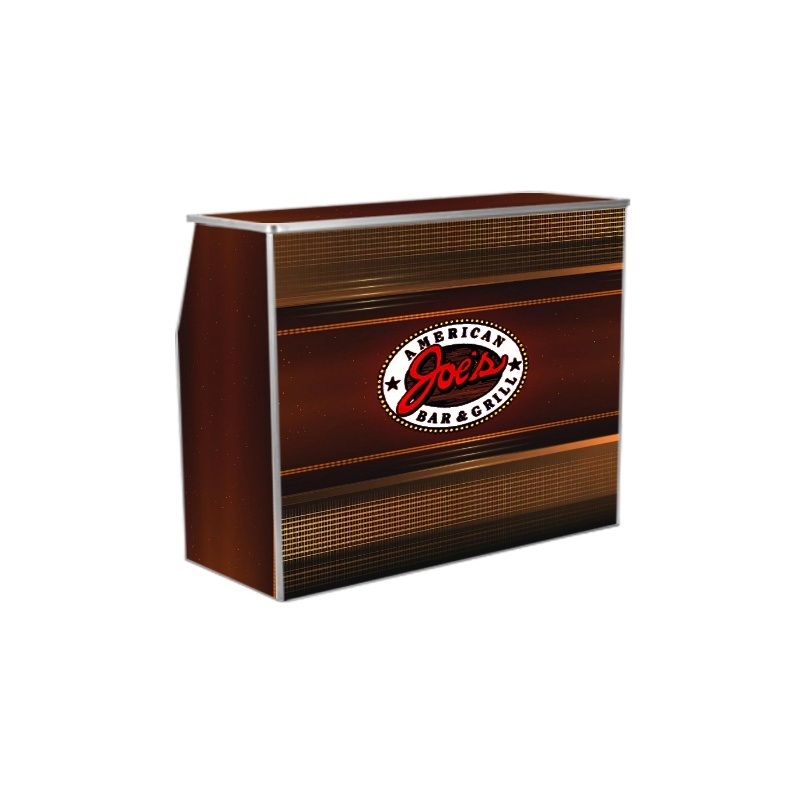 Most folding bar counter tables and cabinets feature attractive aluminum trims to the edges, laminate finish panels, high-quality hinges to fold and secure the table, removable tops, and underneath shelves. Besides being ideal for homes, multipurpose folding bars are also great for use at restaurants, clubs, lounges, and hotels. Most mobile bars also include key bar components and equipment including counters, glassware, fridges, dispensers, etc. Portable bar tables and stands serve as excellent promotional material – Be it at trade shows or other indoor and outdoor events. Contemporary bar cabinets and bar counter tables can even be customized with company names, logos, images, graphics, and more. 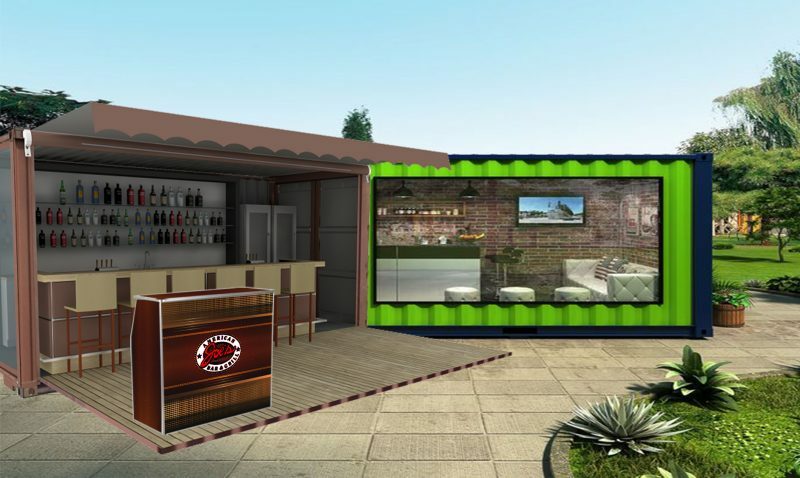 A fully functional mobile bar lets your guests get their preferred beverages as per their needs, eliminating hassles of individual orders and enhancing the customer/guest experience. And with a well-stocked mobile bar, you never have to worry about your event running short of drinks! Portable bar tables are highly durable and come in varied shapes, styles, designs, colours, and sizes, with different permutations and combinations of features as per your specific needs. A portable bar is fitting for almost any event or occasion - Whether you are celebrating for business or pleasure, it will certainly ‘quench’ your objective, in a classy and affordable manner! So, what could possibly stop you from getting your very own custom bar stands? Portable bars are apt for both commercial and residential use. For bars and restaurants that organize events outside their regular business premises, most often on the beach, portable bars are great avenues to promote their brand while at the same time stir up interesting beverages for guests within minutes. 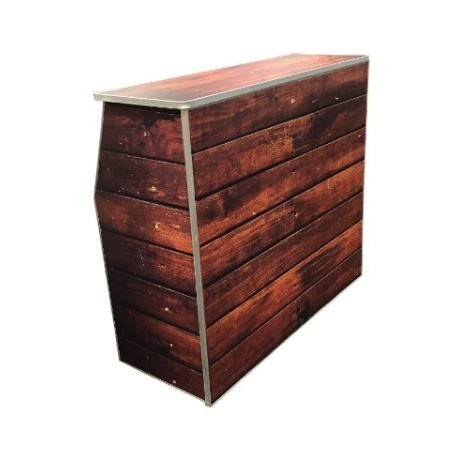 Mobile bars also offer great value for money as there is no need to pay rent for space. Apart from businesses, many residential owners are also getting mini-bars and bar cabinets for their homes, thanks to their numerous benefits. A portable/mobile bar is a convenient, quick, and fun way to serve beverages. Keep it indoors when it’s cold, move it outdoors when it’s warm - Keep the party moving, all year long!